It has been talked about for a while -- how asking job candidates about their past salary can influence how much future employers will pay. Now Gov. Andrew Cuomo is taking more action on it. Advocates of equal pay for equal work say asking about previous salaries unfairly keep women, in particular, from achieving equal pay with men. For Equal Pay Day, Apr. 10, Cuomo proposed a measure that would prohibit all employers from asking job applicants about their prior salary history. The measure would apply to the private and public sector. It is one of the recommendations from a state report on the gap in compensation given to men and women doing the same type of work. Right now, women in New York State make 89 cents for every $1 made by a man in a similar position. Nationally, women make only 80 cents for every $1 made by a man in the same position. Cuomo signed an executive order last year barring the state from asking job seekers about wage history. It's a long-known truth that women and men who work the same job do not bring home the same amount of pay. Local women's advocates provided updated statistics on Thursday that show the gap remains wide for all women, but is worse for women of color. And women's groups say the inequality hurts not just the women but families and the entire economy. Tesla's stock market value has just beat out Ford's, making it no. 2 to General Motors. We'll look at why investors are so optimistic about the electric car company's prospects. Afterwards, we'll examine Uganda's struggle to manage its refugee crisis, a problem that could worsen if the U.S. goes through with making major cuts to all foreign aid. 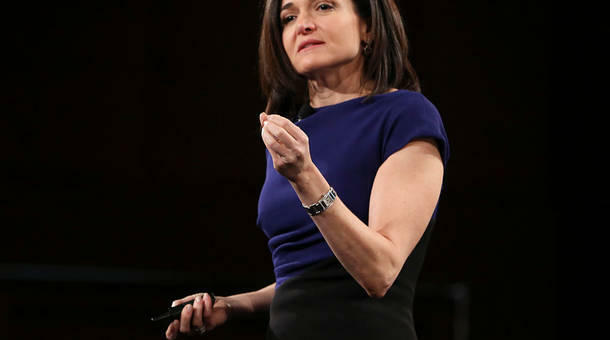 And as part of Equal Pay Day, we'll chat with LeanIn.Org founder Sheryl Sandberg about the organization's campaign to raise awareness about the gender pay gap and how businesses should tackle the issue. 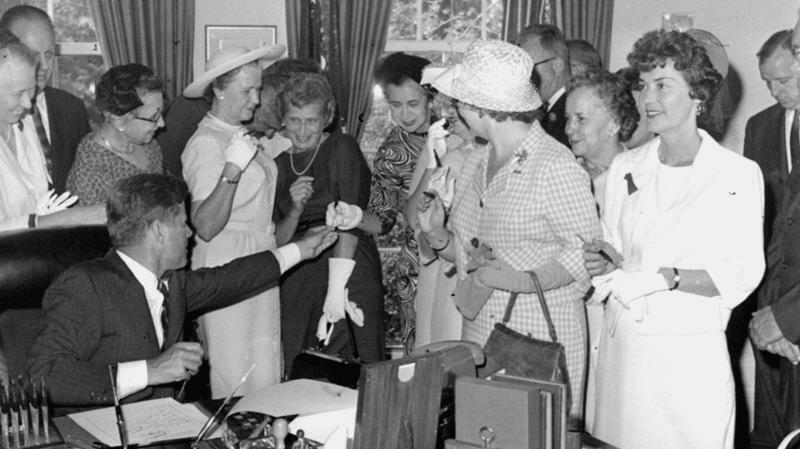 On this day 50 years ago, President John F. Kennedy signed the Equal Pay Act in an effort to abolish wage discrimination based on gender. Half a century later, the Obama administration is pushing Congress to pass the Paycheck Fairness Act, designed to make wage differences more transparent. Some dispute the frequently cited figure that women are paid 77 cents for every dollar a man earns. But even those who argue the gap is narrower agree it's most prominent when a woman enters her childbearing years.